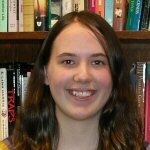 Evelyn Fenner-Dorrity is a 2009 graduate of the University of Washington with degrees in History and English. While in college, she studied German and European history while living in the Turkish neighborhood of Kreuzberg-Berlin and in London where she studied British theatre, art and politics. She also wrote about regional events during an internship with Alaska Airlines Magazine in Seattle. She currently performs Marketing duties for the, a forum for the presentation of African-American arts, thought and debate in Seattle. Her coursework at the UW included the histories of the Pacific Northwest, Central Asia, and South Africa. She hopes to continue traveling, writing and pursuing interests in cultures worldwide.